Orbital Sciences (NYSE: ORB) has completed its merger with the aerospace and defense groups of ATK (NYSE: ATK) to create a new company that will operate as Orbital ATK. 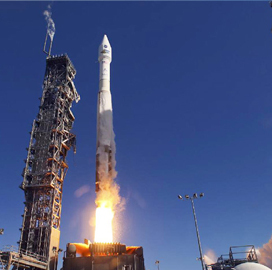 Orbital ATK will start “regular-way” trading on the New York Stock Exchange Tuesday under the ticker symbol “OA, ” Orbital and ATK said Tuesday. ATK stockholders received two shares of Vista Outdoor common stock for every share of ATK common stock held as of Feb. 2, while Orbital stockholders received 0.449 shares of Orbital ATK common stock for every one share of Orbital common stock.